If only the hassles of running a company and its website is not enough, small business owners have also to deal with keeping note of their domain name renewal deadlines. You happen to miss out on the deadline for domain renewal, and, puff, all your efforts on your brand go up in the air. Domain names are usually registered in a period of 1, 2 or 5 years period and need to be renewed for further access. Is there any such thing as buying the Domain name for Life? A domain name for life that would completely eliminate the necessity for keeping reminders about domain name renewal and never worry about it again? Yes, it is possible, but probably not exactly the way you expected it to be. We will get to it shortly. There are three possible routes to have a domain name for life or something near to it. Let’s explore the possibilities of registering a domain name for life, or let us put in this way, a domain name which lets you forget the tension of renewing it on time. Can we buy a domain name for life? There are a few hosting service providers that do offer Free domain name for life! But that does come with its own hook. It includes some conditions that may seem plausible to a few, but not to the majority rest. 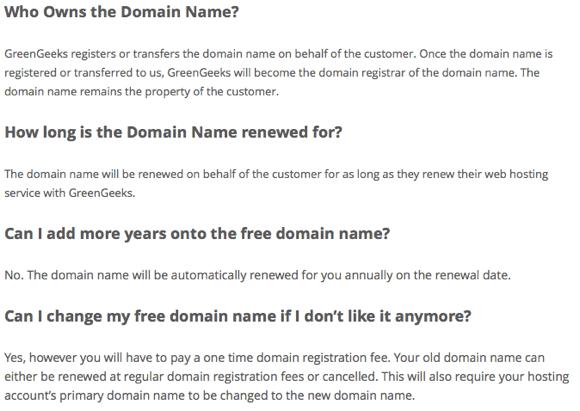 There are service provider like GreenGeeks who do offer a Free domain name for life. The deal here is that you get that domain name for free as long as you stay with their hosting services like shared or dedicated hosting package. The moment you decide to jump base from their hosting service, which most of them do eventually, you can shift to normal annual renewal. So, this is good for those who intend to stick their bets, plan to keep all their eggs in one basket and trust the service provider entirely. Now, this is somewhat close to a domain name for life and lets you forget about renewal issues. Most of the service providers offer auto renewal in their payment methods and you can activate it from there. You can enter your credit card details in the payment method and set it for auto renewal. Many hosting providers do send notification emails about your domain renewal. But if you are not much into Email and happen to miss them occasioauto-renewalrenewal is your safest bet. Another way to having something close to a domain name for life is buying a domain name for a period of 10 years. Yes, now ten years is nothing compared to a lifetime domain name, but that’s the maximum you could actually get. ICANN only allows purchasing domain names for a period of no more than 10 years. 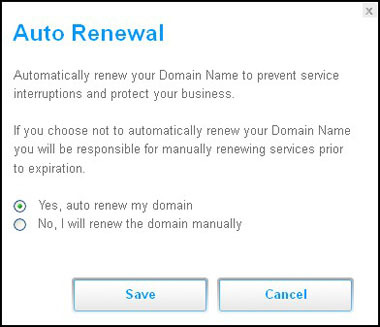 So, if auto renewals are not in your forte, you could register a domain name for 10 years and do keep track of emails from your hosting provider regarding its renewal. Or best, you could activate auto renewal for this 10 year domain name and have a domain name virtually for life. These are the only possibilities that would offer you something close to a domain name for life. What method do you follow to renew your domain names on time? Share your thoughts and experiences below. 1 Can we buy a domain name for life? I am was renewing a domain which i bought through godaddy, while renewing i asked them for cost of keeping domain forever, They uploaded it in my cart. While it was for 1 year and i had not refreshed my page(it was showing 1 year renewal), i clicked on check out it got renewed for 9 year. amount has been deducted from my card which is attached to my account. Executive was on line when i said about this he convinced me that this can be rollback after 24 hours. Now they are completely denying that it can’t be done. What i want to know that is it true that it can’t be done. Any IDEA about this.